…an unbroken streak of wins and podium finishes that on Saturday culminated in their first off-road championship with a dominant Stock Full-class win at the SCORE Terrible’s Las Vegas Primm 300. 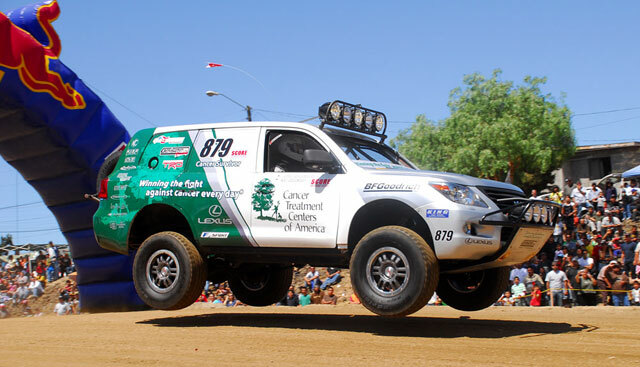 A stunning achievement, and one that’s moved Bacal’s JTGrey Racing to a full Lexus factory-supported program through 2011. A big congratulations to everyone involved! WorldofLuxury: I WANT THAT TRUCK! IT WAS at the Lexus Headquarters in TORRANCE NOT TOO LONG AGO!! !